For the last 30 years, I have been swimming upstream, but it seems that the tide is changing. Perhaps, I have not been swimming upstream after all. Like the tidal surge that reaches far upstream in rivers like the Amazon, the Severn and the Wye, and the Qiangtang it could be that the river was running backwards for those 30 years. Maybe the tide is changing and the water is finally running to the sea again. At certain times during the year surfers gather at rivers around the world to ride the waves of the tidal bore. The river runs downstream, the tide moves upstream, and the surfers run to surfable waves occurring in the Amazon, the Qiantang, and the Severn. Christianity has a pattern of vacillating between the right and the wrong side of history. The Southern Baptists supported the south and slavery in the American Civil War. Evangelicals of various stripes told us Jesus was returning in 1981. Yet, the medieval church was at the forefront of health care, and it took governments until the 16th and 17th centuries to begin to catch up. The tides of history and cultures change, and upstream and downstream change direction through those movements. Sometimes the church moves in the direction of truth and grace and love, but sometimes the church gets caught in the a tidal surge going against the flow of both history and God’s movement in history. Then one day, the tidal bore comes, and surprises us, as the surfers hop on and run down river toward the ocean. Throughout the 80’s, churches told stories of Satanic Ritual Abuse, the dark history of Halloween and a host of other unsupported myths. Meanwhile, Halloween was on the rise as a day of carnival celebration complete with family-friendly events like knocking on doors and receiving candy from your neighbors. The rest of the year, we and our neighbors stayed safely behind our closed curtains and locked doors in fear of the big bad world, but on this day, something was different and we were truly neighbors – unless, of course, we were upstanding church-going Christians – then, we were not about to fall for the curse of the devil garbed in the costumes of smiling neighborhood kids. 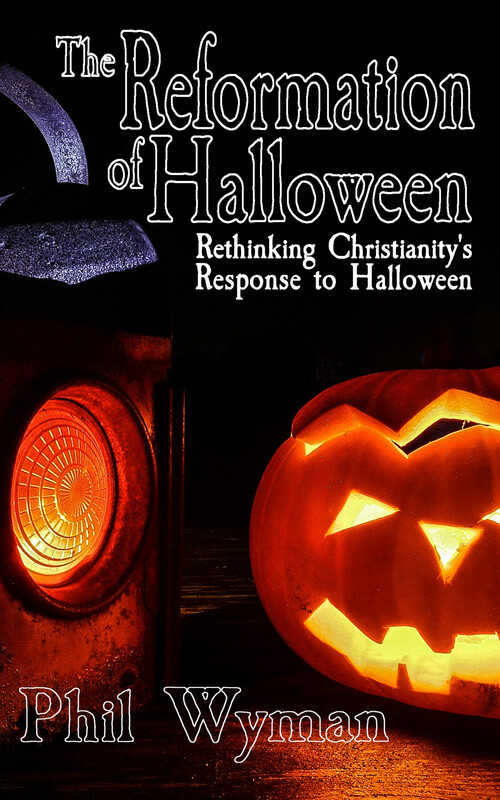 Moving forward to today, fewer and fewer Christians are afraid of Halloween. The myths of a demonic beginning to the holiday, which were spread by the sensationalist fear-mongers of the 80’s are not as prevalent, and some of us take this time as an opportunity to spend with our neighbors and the greater world around us. For those of us in Salem, this means 31 days of Halloween, nearly a million visitors, and a whole month of community engagement. This will be the 18th October that we have tried to show the world that Christians don’t have to be bullhorn toting, anti-cultural bigots. This is the 18th year in Salem that we have worked to host local musicians, artists and youth programs to share their talents on the streets. This is the 18th year of teaching Christians from around the US, and UK to act like normal people, or better yet, like cultural creatives during a wildly fun and creative time. Church meet world. World meet church. Neither one is quite as scary as you might think, well, at least when we know what way the river is flowing, and we are not trying to scare everyone upstream away from the flow of God’s lovingkindness. Each year, our projects have grown larger and more expensive, and we need your help to continue making Salem, and in fact a significantly larger portion of the world, a kinder, more gracious place. Help support our ongoing project to help Christians become more creative in our culture. More on Halloween and the Church. Phil, I’m so shocked and disappointed that I don’t see any other reply to this wonderful blog. I hope most of us Christians have passed the stage of having our heads in the sand and still expecting the world to come to us (our buildings), rather than us going to them. I believe those days are rapidly coming to an end and if we don’t start going to them like you are, we will soon die out.